Where may I obtain a copy of the Supplier Standards? Why does Nordstrom impose expense offset fees? The purpose of our offset fees is to recoup the expenses incurred by our DC/FCs when they are forced to receive shipments manually due to inaccuarcies within the shipment or EDI documents. Compliance with industry standard EDI requirements supports our common goal of expediting the flow of your merchandise to the selling floor, resulting in enhanced sales opportunities for your company. Who should I contact regarding expense offset fees? Send email to Nordstrom Supplier Offset Fees offsetfees@nordstrom.com. Before sending please use the Supplier Resources & Contacts to ensure you are directing your inquiry to the right team. This will help expidite Nordstrom's response. Please include your vendor number, supplier number, expense offset fee information and ISA number (for ASN inquiries). Why can't I supply my UPCs to you directly? We do not currently have the capacity to accept UPCs directly. What is the ASN requirement for UPS? An individual 856 ASN must be sent to Nordstrom for each small package carton when using UPS. What are the required/mandatory shipment reference fields in the EDI 856 ASN to Nordstrom? *Please refer to www.vics.org for complete VICS BOL Guidelines, including definition of Master Bill of Lading and how to generate unique Shippers Bill of Lading and Master Bill of Lading Numbers. When should the EDI 856 be sent/transmitted to Nordstrom? Your EDI 856 transmission should only be transmitted AFTER you have shipped your shipment or after the pickup carrier has signed for your shipment. You should always have the Pickup Carrier's Standard Carrier Alpha Code (SCAC) and Carrier Pro Bill Number or Small Package Tracking ID Number. A SCAC code reference list for Nordstrom authorized pickup carriers may be found in the Routing Guide under SCAC Code Listing. If only an individual Bill of Lading is used how are the Bill of Lading field requirements handled on the EDI 856 to Nordstrom? Populate both the Master Bill of Lading and the individual shipper's Bill of Lading fields with the individual shipper's Bill of Lading number. This fits Shipping Scenarios 1 & 2 below. Carrier Pro Number (REF01 = CN and REF02= Carrier Pro Number). (In this scenario the Carrier Pro Number represents the number assigned by the carrier that transports the freight from the vendor warehouse to the consolidator). If a House Carrier or Prepaid Carrier is used to transport the freight to the consolidator, the Bill of Lading, Carrier Pro Number and SCAC fields still must be populated. If individual shipments are grouped together under a Master Bill of Lading ("aggregated shipments"), as required by Gilbert East and Norcon consolidations, how are the Bill of Lading field requirements handled on the EDI 856 to Nordstrom? In this shipping scenario, populate both the individual shipper's Bill of Lading and the associated Master Bill of Lading. If only one of the Bill of Lading numbers is available, populate this same number in both fields. This step will facilitate tracking. This fits Shipping Scenario 3 below. (In this scenario the Carrier Pro Number represents the single pro number assigned by the pickup carrier for the Master Bill of Lading to transport the freight from the vendor warehouse to the consolidator). If a House Carrier or Prepaid Carrier is used to transport the freight to the consolidator, the Master Bill of Lading, Bill of Lading, Carrier Pro Number and SCAC fields still must be populated. If an individual shipper's Bill of Lading is not used how are the Bill of Lading field requirements handled on the EDI 856 to Nordstrom? Populate the Pickup Carrier's Pro number/ Airway Bill Number or if the shipment is a Small Package shipment, the Package Tracking ID number, in both the Master Bill of Lading and individual shippers Bill of Lading fields. This fits Shipping Scenarios 4 & 5 below. Individual shipper's Bill of Lading (REF01 = BM and REF02 = Bill of Lading). Where can I find the Ticket Requirements and a list of Approved Ticket Providers? In the Nordstrom Ticket Standards, see "FLS Ticketing Policies" (Section 1), "Rack Ticketing Policies" (Section 2) and Nordstrom.com & NRHL (Section 3). For a listing of Approved Ticket providers refer to Section 4. When do I need to use a hanger and when do I need to ship flat? Refer to the Hanging Standards, for Nordstrom's FLS & Rack and Nordstrom.com, NRHL & Reserve Stock. My shipment is not EDI. Am I required to apply a GS1-128 label? No. Please follow the "Carton Label Requirements for NON-EDI Shipments" instructions in Section 3 of the Packaging and Labeling Standards . How do I determine the weight of my shipment? There are two ways to determine the weight of a shipment, depending on your shipping location: If carriers Gilbert East, Red Star, Nor Con, or Colonial Trucking are listed on the Routing Guide origin state page of the state from which your shipment will originate, the weight of your shipment is equal to the total weight of ALL cartons shipping to ALL DC's (using the above carriers) on the same day. Otherwise, the weight of your shipment is the weight of all cartons shipping to the same DC on the same day. How do I determine where to ship my order? For PO's with 8 digits, the warehouse number should be on the PO. If not, refer to the "Store/DC List" at the end of our Routing Guide for the store to DC relationships. If your PO number is Alphanumeric (2 alpha - 6 numeric) then your 'ship to DC' will be on your order. If the PO is missing any information, contact the issuing Nordstrom buyer. If I am paying for the freight do I need to use your carrier selection? YES. Our Routing Guide identifies the most time and cost efficient transportation methods for shipping to Nordstrom. We have contracted competitive rates with our carriers as well as other value added services, and this allows us to process our preferred carriers systematically. If you are paying the freight on a purchase order, please follow the Routing Guide instructions and mark your shipment "collect" or, if using UPS, "Bill Third Party" using the Third Party Bill To Account Number provided. Nordstrom will chargeback/deduct the cost of the freight from your invoice using our rates. If you still choose to use your own carrier, Nordstrom will not be responsible for any freight charges: you will be responsible for freight and charged back for all charges regardless of the rates. If you have any questions regarding which carrier you should use, contact the DC to which you are sending merchandise. How do I select a carrier? Carrier selection depends on several criteria, including weight, shipment origin and destination, and mode of transit on purchase orders. To determine shipping for your location, please refer to the Routing Guide "Origin State Pages", selecting the state from which your shipment is originating. Follow the specific criteria on that page to determine the carrier, then, refer to that carrier's page (found just above the "Origin State Pages" section of the Routing Guide) for information on using that carrier. If you have any questions about which carrier you should use, please contact the DC to which you are shipping. Why did I receive a Freight chargeback? Freight Agreement: We have a Freight Agreement on file for your vendor number or the PO specifies that the vendor will pay some or all of the freight charges. Purchase Order or Routing Guide violation: To discuss your chargeback, please contact the DC to which merchandise was shipped, and ask for the Traffic Department. Who may I contact to discuss shipping and carrier selection? Contact the DC to which you are planning to ship your merchandise and ask for the Traffic Department. Where are the DC phone numbers? DC phone numbers may be found on the "Store/DC List" in the Routing Guide. My shipment weighs over 50 pounds. May I use UPS? No. UPS is our designated small package shipper and handles shipments that weigh 50 pounds and under only. Please go to the Routing Guide "Origin State Pages" and select the state from which your shipment will originate to select the appropriate carrier. The buyer requested us to ship via a specific carrier on the PO. What should we do? Call the DC to which you are shipping and ask the Traffic Office for further instructions. What happens if I pack an order incorrectly? Nordstrom suppliers must pack by store as indicated on the PO. Nordstrom DC will no longer re-allocate mis-packs to the appropriate store. The mis-packed merchandise will be returned to the Supplier as not ordered. Why do the claim packing lists indicate 'Not Ordered' as the reason for most claims? Claims that are returned to the Supplier have a claim copy as a packing slip.� All PO violation claim reasons are shown as 'Not Ordered', except in the case of shipping window violations or PO cancellations. All 'Defective' or 'Accommodation' returns show 'Defective or Accommodation' on the packing slip. Who should I contact about the consolidated invoicing requirement (one invoice per shipment)? Is there a non-compliance expense offset fee associated with this requirement? A non-compliance expense offset fee of $10 per invoice will be assessed for every non-consolidated invoice. 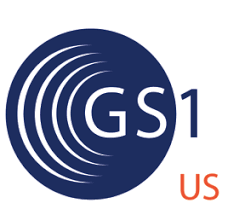 Global Standards (GS1 US): GS1 US is dedicated to the adoption and implementation of standards-based, global supply chain solutions that are open, consensus-based, and universally endorsed. 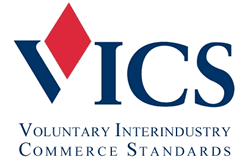 Voluntary Inter-industry Commerce Standards (VICS): VICS is a not-for-profit association whose mission is to take a global leadership role in the development of business guidelines & specifications; facilitating implementation through education and measurement, resulting in the improvement of the retail supply chain efficiency and effectiveness, which meet or exceed customer and consumer expectations. National Retail Federation (NRF): As the world's largest retail trade association, NRF's mission is to conduct programs and services in research, education, training, information technology, and government affairs to protect and advance the interests of the retail industry. Retail Value Chain Federation (RVCF): The Retail Value Chain Federation (RVCF) is a neutral, independent retail organization that facilitates trading partner collaboration to enable industrywide growth and profitability. RVCF promotes best practices, industry initiatives and collaborative solutions that make it possible for retailers and suppliers to optimize supply chain operations and meet the ever-increasing expectations of the end consumer.